There is a lot of competition when it comes to MP3 players this day and age, and waterproof iPods are no exception. Virtually every brand offers a waterproof iPod. But we’re going to look at 3 explanations why Underwater Audio is the best brand for waterproof iPods. One of the best things that sets the Underwater Audio iPod apart from the rest is the range it offers. You can dive in and the iPod works up to 200 feet underwater while still giving you the same sound quality as it would if you were out of the water. It also works for long periods of exposure to water, which is another awesome benefit. It’s great because it works both in and out of the water. It functions as a regular iPod when you’re out of the water too! It’s like 2 in 1. It doesn’t get much better than that! It also has 15 hrs of battery life, holds hundreds of songs, supports multiple playlists, and features the unique VoiceOver button. Mac and PC compatible. Other brands that sell waterproof iPods don’t have the very special VoiceOver button. Underwater Audio is the only brand to offer that unique and super beneficial function! Finally, Underwater Audio has the best swimming iPod in the industry! You’ll see low priced imitators come and go, but our waterproof, depth tested, and corrosion-proof iPods pass the test of time. We don’t crack open the case to apply waterproofing like some companies do. 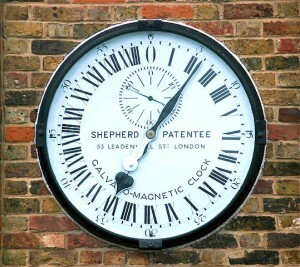 There are NO hidden care instructions to void the warranty. Which is why Underwater Audio’s waterproof iPod is the only one used, supported, and endorsed by professional swimmers and Olympic medalists! 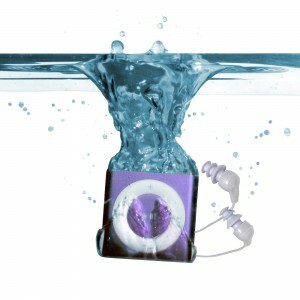 Of course there are many other reasons why Underwater Audio’s Waterproof iPod is the best and top of the line. But hopefully these 3 explanations have shed some light on WHY it’s the best of the best. What are some reasons you think makes the Waterproof iPod by Underwater Audio the best of all the waterproof iPods out there? If you have any comments or anything to add, please do so in the section below.